Happy World Plumbing Day! We Celebrate By Interviewing ... A Plumber : Goats and Soda To mark this august occasion, we talk to Fred Schilling, a Florida master plumber who traveled to Haiti after the earthquake to help create a way to deliver clean water. 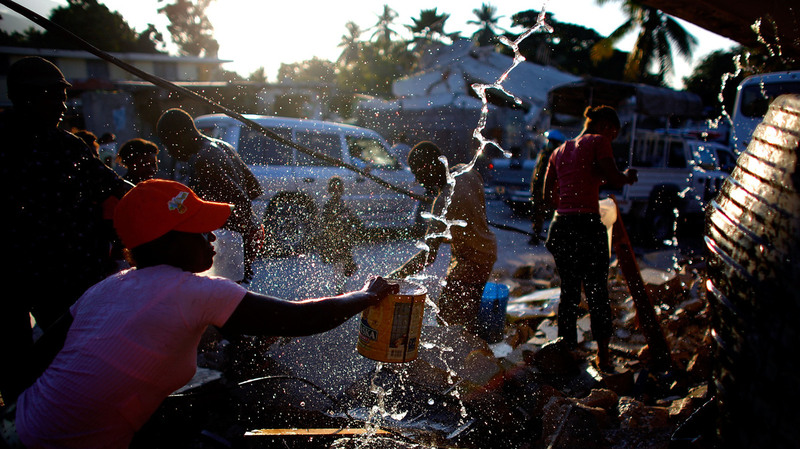 People gather around broken water pipes to collect drinking water in Port-au-Prince, Haiti, after the January 2010 earthquake. Fred Schilling has made many trips to Haiti to fix pipes and train Haitians. 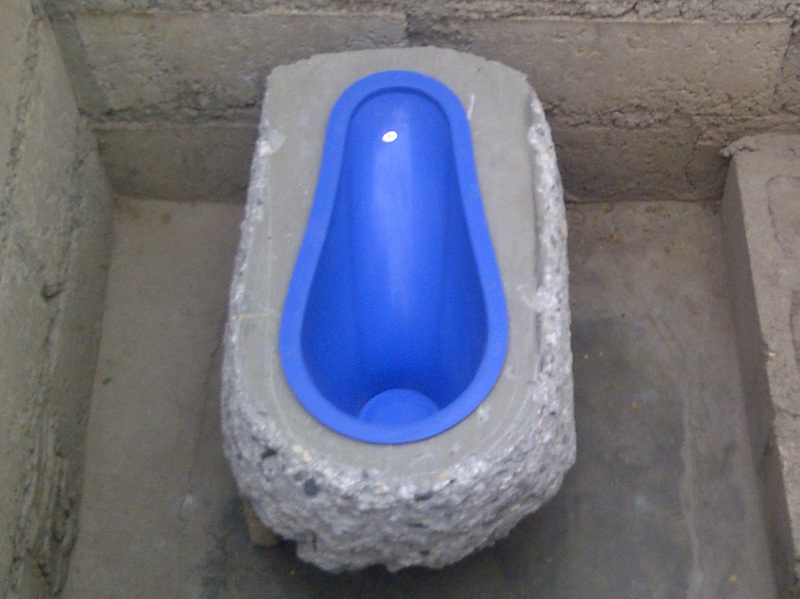 A newly installed toilet in Haiti. After a 7.0 magnitude earthquake struck Haiti in 2010, help poured in from the U.S. Doctors came to battle the cholera epidemic, agencies handed out food, and nonprofits provided shelter. And then there were plumbers. The earthquake had triggered a water crisis in a country where millions already lacked a source of clean water. That year, more than 530,000 Haitians were sickened by contaminated water; 7,000 of them died. Underground pipelines in Haiti were virtually nonexistent, save for the one that supplied water to the capital of Port-au-Prince. Even that one barely worked, says Fred Schilling. "For the most part, you turned on the faucet and nothing came out." Schilling works with Plumbers Without Borders, a small but growing organization that works to improve water and sanitation in developing countries. At 65, he is a master plumber who has installed pipes and toilets in more than 850 buildings throughout Florida. He was thinking about retirement and was looking for volunteer opportunities with Plumbers Without Borders when the earthquake hit. So the co-founders asked him to take on the organization's first project: Help Haiti fix its plumbing system. Soon Schilling was on a plane, flying over the devastation. It was absolute chaos, he recalls. Piles of rubble sat where homes and offices once were. Men, women and children filled the streets. "Everyone was afraid to go back into the buildings because they thought there was going to be another earthquake," he says. "There were people living on the streets, under a tarp or in a shelter made of sticks." Let the facts flow for World Plumbing Day. The World Plumbing council started it in 2010 to highlight the contribution of plumbers to the world. It's always on March 11, "every year ... everywhere." What The World Should Do: Provide clean water and sanitation to the millions who lack these services. Sobering statistic: About 2,200 children die each day from diarrhea; 88 percent of the time, unsafe drinking water is a contributing factor. The most devastating sight was a woman competing with a wild pig for food scraps in the garbage. Schilling was confident — he has fixed hundreds of water mains before. He thought he would simply repair the pipes and get Haiti's water system up and running again. But 30 minutes into a meeting with the Salvation Army, Schilling realized just how wrong he was. "The reality is that Haiti never had any water mains," he says. In the countryside, people got their water from tainted rivers. Essentially, Schilling had to help Haitians build their clean water system from scratch. But there was a problem: Schilling's training prepared him to install sophisticated plumbing systems in places like the Empire State Building — not in a country where technology and skills were far less advanced. "The facilities, infrastructure and level of sophistication we have in the U.S. just don't exist in that country," he says. "So you have to figure out a way to create technology at this lower level." 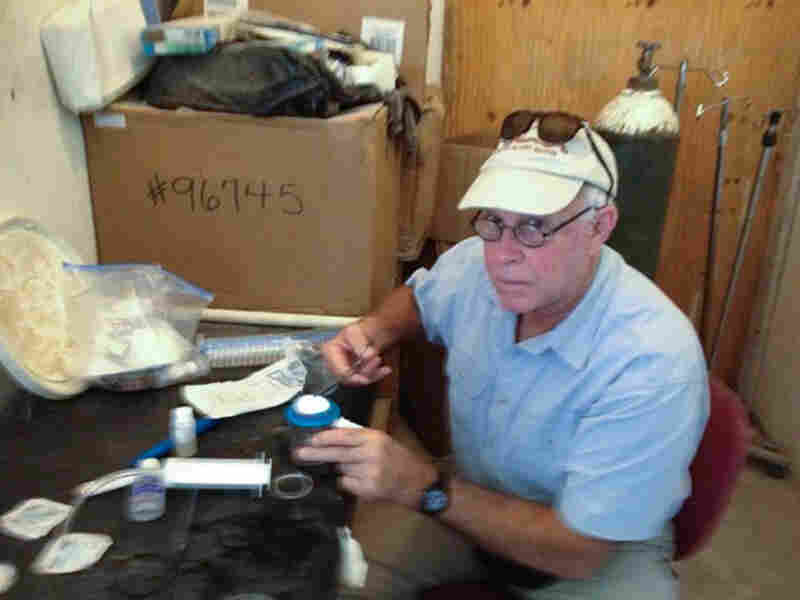 Schilling and Plumbers Without Borders worked with graduate students from Seattle University, who had created a simple water purification system that can provide 10,000 gallons of clean water every 24 hours. That may be nothing to a city like Orlando, Fla., which uses billions of gallons of water a day, but it's enough for a small town in Haiti. The system uses four canisters, each with its own filter, to catch coarse and fine particles. The last canister uses an ultraviolet light bulb to kill any lingering bacteria. But Schilling made clear the job of installing them has been left to the Haitians. "It's like that saying: We don't hand out fish, we hand out fishing poles," he says with a laugh. The problem is, he says, companies building new offices and hotels in Haiti "don't have any confidence that the Haitian workforce has the expertise to do the work." So they look to foreign construction workers and plumbers. That's why Schilling and Plumbers Without Borders' main goal in Haiti is to teach. Schilling has been back and forth between Florida and Haiti over the past five years to set up workshops at Haiti Tec, a trade school in Port-au-Prince. The students learn basic plumbing skills, how to install water purification systems and how to maintain them. Soon, Plumbers Without Borders will team up with U.S. training schools to create advanced programs from which Haitians can earn a license. Schilling has never seen more devoted and enthusiastic students. In a class of 40, half of them would wear suits and ties. And they pay rapt attention, too. One time he brought a graduate student from Seattle University to teach a workshop on the chemical analysis of water. "I thought this would be a yawner for these students and they would be asleep and snoring in 10 minutes," he says. But after the 30-minute presentation, the Haitian students asked questions for 2 1/2 hours. "I was thrown backwards," he tells Goats and Soda. "You and I might not give a hoot about the chemical analysis of water, but if you live in a country like Haiti, you know that it's life or death."